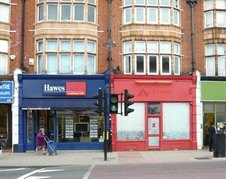 We are pleased to announce the letting of 46 and 48 High Street, New Malden to Corals, who plan to combine the shop units and open a Licenced Bookmakers. The fittout is due to begin immediately. If you have a requirement for an A2 retail unit please contact Adam Soliman on 020 8546 2166 to check on current availability or alternatively visit our website at www.cattaneo-commercial.co.uk.